Yes my collage is good and the management is work good and solve the every students problem and the college remark is the good atmosphere and the good study quality and my faculty are always helps us. 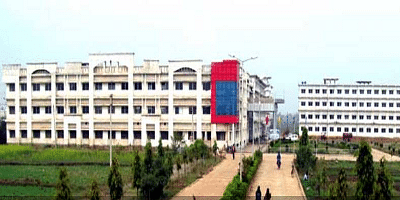 Bharti College of Engineering and Technology (BCET), Durg was established in 1997 under Shri Jug Mahadev Educational Society (SJMES). It is a part of Bharti Group of Colleges. It is affiliated to Chhattisgarh Swami Vivekanand Technical University (CSVTU), Bhilai. It is approved by All India Council for Technical Education (AICTE), New Delhi and is recognized by Directorate of Technical Education (DTE), Government of Chhattisgarh. The mission of the college is to provide students with the fundamental knowledge, interdisciplinary problem solving skills, social and business awareness, and confidence required to excel in their chosen professions and be leaders in a global environment. It is located at Pulgaon Chowk in Durg, Chhattisgarh and just 6 kms away from Durg railway station. The Central Library spread over an area of 4500 sq. mtrs. and has a reading room with seating capacity of 500 students. It has a collection of over more than 750000 books. It subscribes to 1000 online periodicals and journals. DENOVO - is a National Level, annual fest of the college. It Is an amalgam of cultural & technical events (Robotics, Quiz, Paper Presentation, Gaming, Photography). SRIJAN - is a annual cultural fest organised by the students of the college, an effort to enthuse the spirit of technical and cultural exuberance amongst youth. Prizes are awarded for 100% attendance in every academic year.